The Campus Outreach efforts of the Jack, Joseph and Morton Mandel Center for Advanced Holocaust Studies aim to advance, promote, and support the study and teaching of the Holocaust at diverse campuses throughout North America and to ensure the vitality of Holocaust Studies through both teaching and research into the future. To that end, the Mandel Center conducts co-organized outreach activities in the form of campus panel discussions, campus lectures (both onsite and via teleconferencing), pedagogy roundtables, and symposia. These activities build on each other with the end goal of invigorating the field with new scholars, courses, and students. We also offer debriefings on a limited basis for university groups visiting the Museum. 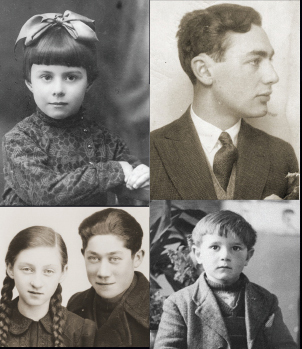 By placing the history of the Holocaust into conversation with local histories, the Mandel Center’s regional campus outreach programs explore emerging research on common themes across disciplines, fields, and geographic regions. 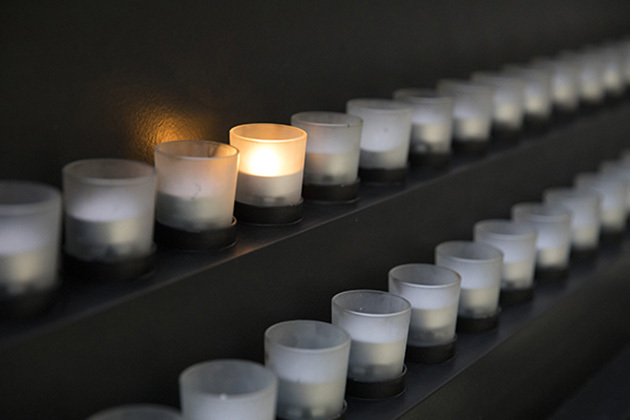 These programs bring together students, scholars, and educators from various disciplines and fields to educate campus communities about the history of the Holocaust; model how to responsibly research and talk about the similarities, differences, and gray zones of different histories; and facilitate informed dialogue about the lessons and contemporary relevance of those histories. These multi-year programs consist of a series of co-organized and co-sponsored campus panel discussions, student workshops, pedagogy roundtables, and a two-day symposium at colleges and universities within the defined region. Learn more about current and upcoming regional campus outreach programs. For further information about this program, please e-mail regional_campus_outreach@ushmm.org. Co-organized with North American colleges and universities, the Mandel Center’s outreach symposia explore emerging research on common topics in Holocaust studies and related disciplines and fields. By bringing together scholars, teachers, students, and community members, these programs seek to enrich campus dialogue and forge connections with diverse audiences that will ensure the vitality of Holocaust studies in an increasingly interdisciplinary academic landscape. Symposia typically include panels that feature faculty and students from the host institution in dialogue with Holocaust scholars drawn from the Mandel Center’s network. The Mandel Center supports the cost of travel for presenters. The host institution arranges the venue and provides accommodations for non-local speakers. Learn more about past and upcoming symposia.For inquiries related to the symposia program, please e-mail university_programs@ushmm.org. The Campus Outreach Lecture Program (COLP) provides college and university communities with a better understanding of the history, lessons, and contemporary relevance of the Holocaust. Speakers are drawn from the Mandel Center’s staff and current and former visiting fellows from around the world. COLPs are an invaluable resource for colleges and universities seeking to enhance Holocaust education and for communities concerned about the ongoing danger of discrimination, antisemitism, and Holocaust denial. Additionally, the Campus Outreach Lectures allow colleges and universities without a Holocaust specialist or course offering to introduce their student body to Holocaust education. Campus speakers typically present a public lecture, give one or more classroom talks, time permitting, and meet with students and faculty. Learn more about recent and upcoming campus outreach lectures. For further information about this program, please contact Kierra Crago-Schneider, PhD, at kcrago-schneider@ushmm.org. Seminars at the Jack, Joseph and Morton Mandel Center for Advanced Holocaust Studies strengthen teaching about the Holocaust at North American institutions of higher education. Each year, the Mandel Center organizes three seminars to assist faculty members who are teaching or preparing university-level courses on the Holocaust. These seminars provide them with resource materials, model presentations on key issues, and suggested approaches for teaching difficult topics. Learn more. For inquiries about the faculty seminars, please contact Kierra Crago-Schneider, PhD, at kcrago-schneider@ushmm.org. The Mandel Center’s pedagogy roundtables bring together college and university faculty from various disciplines and institutions to discuss the trials, successes, and strategies of teaching topics, themes, and events that students may find challenging. The roundtables also showcase Museum resources and tools for teaching about the Holocaust. Roundtables are open to faculty and students who teach or are training to become educators. Learn more about past and upcoming pedagogy roundtables. For further information about the pedagogy roundtables, please email Kierra Crago-Schneider, PhD, at kcrago-schneider@ushmm.org. The Mandel Center offers facilitated lectures or discussions for college or university groups after touring the Museum’s permanent or temporary exhibitions. These debriefings are structured around a particular group’s needs, as well as the availability of Mandel Center staff and fellows. This program requires approximately 4–6 weeks notice. Please fill out this form to request more information. For information on planning a group visit to the Museum, including how to reserve passes for the Permanent Exhibition during the Museum’s busy season, please visit our Plan a Visit page.